Do you have skills to share? Want to come and help out? 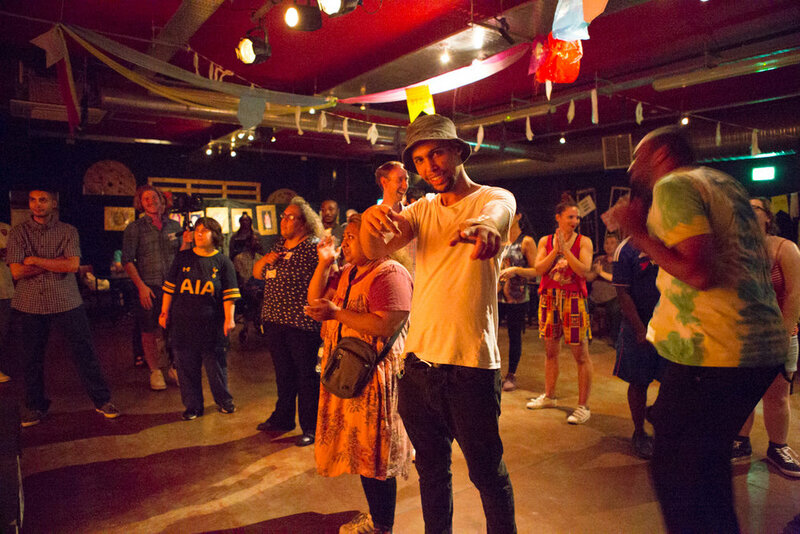 The Bubble Club is a collaborative enterprise thats connects people with learning disabilities with people from the events and creative industries to help run the club and learn skills doing it. Our workshop is a radically lateral space where ideas fly high and everybody has something to learn. Volunteers are important members of our team during Friday workshops and on event nights. WANT TO SUPPORT PEOPLE TO COME TO THE BUBBLE CLUB? A new befriending scheme is being launched in East London and they are in need of volunteers. Would you like to connect with someone in your community who would like to come to places like the Bubble Club but currently lacks the support needed?